Paris, Dec 12 (IANS) The European Union on Tuesday announced 9 billion climate finance contribution — the first major announcement made on the historic Paris Climate Change Agreement’s second anniversary — to achieve climate goals. The Paris climate-relevant investments are in three targeted areas — sustainable cities, sustainable energy and connectivity and sustainable agriculture, rural entrepreneurs and agribusiness. These targeted areas are expected to generate up to euro 9bn investments by 2020, Climate Action and Energy Commissioner Miguel Arias Canete announced at ‘One Planet Summit’, hosted by French President Emmanuel Macron here. 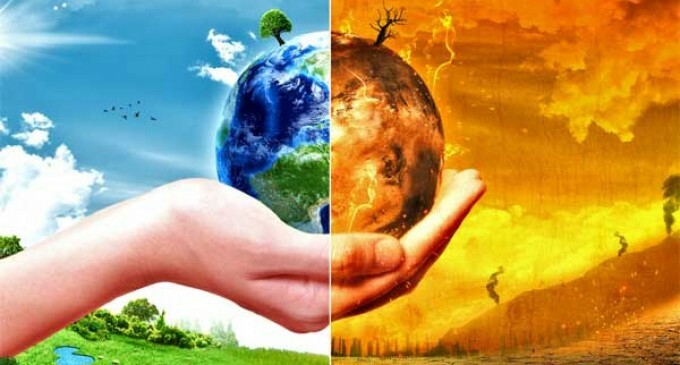 “The Paris Agreement and the UNFCCC climate convention remain the only pathway to tackle climate change and this One Planet Summit demonstrates how the financial system is aligning to the objectives of the agreement,” UN Climate Change Executive Secretary Patricia Espinosa said in a statement. In a related announcement, 225 of the most influential global institutional investors with more than $26.3 trillion in assets under management launched a new collaborative initiative to engage with world’s largest corporate greenhouse gas emitters so these companies step up their actions on climate change. The initiative, known as Climate Action 100+, led and developed by investors and supported and coordinated by five partner organisations from around the world, was launched on the second anniversary of the Paris Agreement. Betty T. Yee, a board member of California Public Employees’ Retirement System (CalPERS), the largest US public pension fund and a participant in Climate Action 100+, made the announcement during a panel discussion at the summit. Canete said that the EU’s External Investment Plan, with its focus on sustainable development and the low-emission and climate-resilient transition, will scale up much-needed investments across Africa and the EU neighbourhood, adding that the benefits would be multiple: new jobs, accelerated and sustainable growth, enhanced resilience to climate change impacts, improved health, poverty reduction and better connectivity. International Cooperation and Development Commissioner Neven Mimica said that these priority areas are setting the agenda for sustainable investments, and unlocking the potential of sustainable energy, promoting digitalisation for development or supporting micro, small and medium sized enterprises will help create sustainable development and reduce poverty. The Paris gathering took place less than a month after the successful conclusion of the November UN Climate Change Conference in Bonn (COP23) and was the first in a series of international summits to help countries to raise ambition and bolster their national climate action plans – crucial to achieve the Paris Agreement’s goals. Next year, California, the UN and other key partners will host another major conference to fast forward action ahead of the UN Climate Conference 2018 in Poland (COP24), and a summit to raise ambition will be convened by the UN Secretary General in 2019. At the ‘Planet One Summit’, another 237 companies with a combined market capitalization of over $6.3 trillion publicly committed to support the Task Force on Climate related Financial Disclosures (TCFD). This includes over 150 financial firms, responsible for assets of over $81.7 trillion. The Task Force, led by Michael R. Bloomberg and established by the Financial Stability Board (FSB),chaired by Bank of England Governor Mark Carney, developed voluntary recommendations on climate-related information that companies should disclose to help investors, lenders, and others make sound financial decisions. The companies and organizations supporting the TCFD, which have more than doubled in number in the five months since the recommendations were published in June 2017, span the entire capital and investment chain. “Climate change poses both economic risks and opportunities. But right now, companies don’t have the data they need to accurately measure the risks and evaluate the opportunities. That prevents them from taking protective measures and identifying sustainable investments that could have strong returns,” Bloomberg said, adding that the Task Force’s recommendations will help change that by empowering companies to measure and report risks in a more standardized way. In a sign of the financial industry’s growing concerns over the climate and business risks of fossil fuels, French insurance giant AXA announced at the summit that it will cease insuring the tar sands sector and new coal projects, and will divest over 3 billion euros from tar sands and coal companies. Tar sands oil is one of the dirtiest fuels on the planet and environmental and indigenous rights groups in Canada, the US and Europe are urging financial institutions to stop supporting it because of its climate and local environmental impacts. In October, France’s largest bank BNP Paribas announced that it would stop funding tar sands projects and companies.